Some Pictures May Be Stock Of A Finished Home With The Same Floor Plan, And Not Of This Actual Home. MLS#6525221. 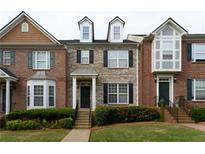 Kfh Realty, Llc..
Heritage Park - Call To Schedule A Private Viewing Of This Updated Townhome! MLS#6524314. Atlanta Communities. Waverly - Private Backyard With Custom Patio. Newly Updated Landscape Irrigation System. 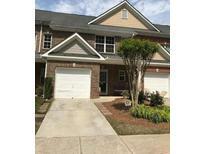 MLS#8548951. Keller Williams Rlty-Atl.North. Cove At Mountain View - No Common Walls! Tenant In Property. 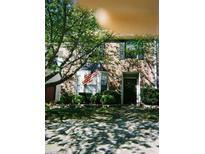 MLS#6520036. Solid Source Realty Ga, Llc..
Mountain View - Near Hwy-41, Town Center Mall I-75/I-575. Great Schools, Won'T Last! ! MLS#6524096. Maximum One Realty Greater Atl..
Olde Royal Regency - Awesome Location, Convenient To I-75, Hwy 41 Restaurants, Shopping And Ksu. MLS#6523210. Atlanta Communities. Town View - This Home Wont Be On The Market Long! MLS#6521904. Keller Williams Realty Atlanta Partners. Saddlebrook Farms - Huge Finished Basement Is Teen Hq Or In-Law Suite W/Kitchenette & Gym. 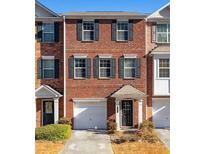 MLS#8545637. Berkshire Hathaway Homeservices Georgia Properties. This Low Maintenance Property Is Perfect For Active Families! MLS#6520613. Xrealty.Net, Llc..
Community Features Clubhouse, Pool, Basketball Court, Tennis Courts & Playground. MLS#6520053. Harry Norman Realtors. Great Location And Close To Everything Restaurants, Shopping And Interstate MLS#6520097. Atlanta Communities. Gps: 825 Mars Hill Rd, Kennesaw! 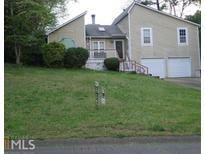 MLS#8542050. Kw Realty Signature Partners. Assoc Fee Includes Water, Sewer, Trash, Grounds Maintenance, Exterior Unit Maintenance Including Roof And Siding, Termite Cov, Pool, Tennis, Playground, Basketball And Clubhouse. MLS#6518332. Red Barn Real Estate,Llc..
Ridenour - There Are Also New Faucets And Light Fixtures Selected For This Home. MLS#6518238. 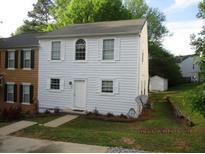 Choice Atlanta Properties, Inc..
Hunters Green - This One Is Not Going To Last Long! MLS#8541086. Keller Williams Realty. 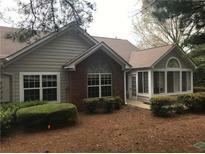 Oak Ridge - Great Location Right Off Of Jiles Rd Close To I75 And Kennesaw State University. 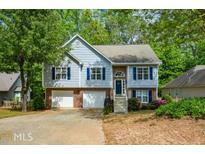 MLS#8541151. Realty One Group Edge. Town View - Easily Rent-Able. Gated Community. Bring Your Offer. MLS#6516892. Virtual Properties Realty.Com. Town View - Great Room With Cozy Gas Fireplace And Hardwood Floors,Seperate Dining Area, Kitchen With Stained Cabinetry, Tile Backsplash And Solid Surface Counter-Tops, Roommate Floor Plan With One Bedroom Downstairs And Two Up,1St Floor Bedroom Could Also Be The Perfect Home Office, Close To Absolutely Everything,Restaurants, Shopping, Movie Theaters, Interstates And Kennesaw University! MLS#6516227. Drake Realty Of Ga, Inc.. Laundry Room On Main Level With Cabinets. MLS#6513896. Fortress Real Estate, Llc..
Heritage Park - Hoa Include: Pool; Trash; Ground & Exterior Maintenance; Gate; Exterior Liability/Fire Ins; Termite Bond; Pest Control And Landscaping. MLS#6514196. Keller Williams Realty Signature Partners. Fullers Chase - Work With Our Interior Designers To Customize Your Home! Ask About Incentives! MLS#6510945. Traton Homes Realty, Inc..
Fullers Chase - Ready Sept/Oct 2019. Ask About Incentives! MLS#6511007. Traton Homes Realty, Inc..
Fullers Chase - Ready Sept/Oct 2019. Ask About Incentives! MLS#6510970. Traton Homes Realty, Inc..
Winterfield Court - Come And Make This House Your Home Today! MLS#6512903. Duffy Realty Of Atlanta. 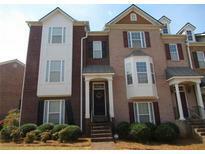 Landings At Kennesaw - Plush New Carpet, Pad, Exterior Paint, And Large Private Rear Yard. MLS#6512464. Fortress Real Estate, Llc..